Connecticut’s bond commission approved $10 million in bonding to help the City of Hartford lure a professional soccer team to the city, and $5 million to upgrade the Church Street parking garage which serves the XL Center. The projects were part of $350 million in bonding approved during a bond commission meeting on Friday. 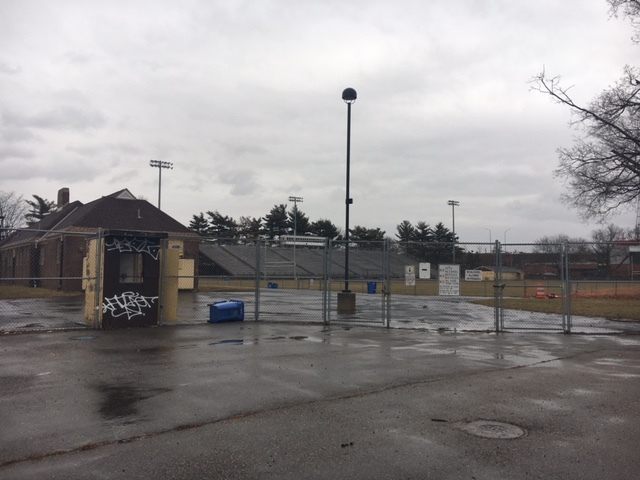 The commission approved a grant to Hartford to renovate and improve Dillon stadium and Colt Park, including repair of bleachers, fencing, landscape and lighting work and a new synthetic and grass playing field. According to testimony given at the bond commission, the stadium would be home to a not-yet-created expansion team, which would also help invest money into developing the facility. Rep. John Fonfarra, D-Hartford, however was enthusiastic about the proposal and praised the governor for supporting Hartford. Gov. Dannel Malloy joked that the soccer stadium would be a lot cheaper than the baseball stadium. Dillon Park has been the focal point of a corruption scandal resulting in developer James C. Duckett being charged and convicted of fraud, money laundering and conspiracy. The controversy also resulted in two Hartford officials losing their jobs and the loss of a soccer team that was meant to play in the park. Now, it appears, the City of Hartford will try to revitalize the stadium again with the hopes of bringing a professional soccer team to the city. The bonding also included $5 million for the Church Street parking garage which serves the beleaguered XL Center. The XL Center is slated for hundreds of millions of dollars in renovations in the expectation that it will eventually be sold to a private developer. Davis also questioned the wisdom of appropriating money for the project and ultimately voted against the $5 million bond. “I think we arguably overpaid for it in the first place and now were putting another 5 million into it,” Davis said.